The technology and touring vocation so typical of the Vespa GTS family meet the history and most genuine sport tradition of Vespa. 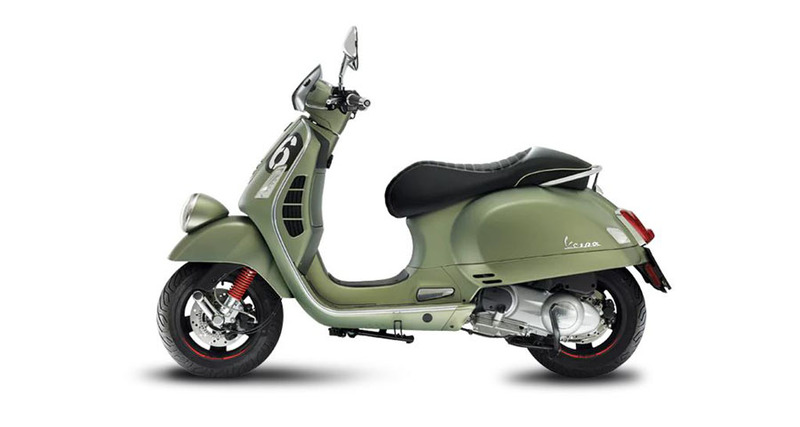 And so the Vespa Sei Giorni is born, a special version, produced in numbered edition, heir to the original Vespa Sport ��Sei Giorni��. A model that became part of the legend, built specifically for the taxing ��Sei Giorni Internazionale di Varese�� regularity competition of 1951, where it was the undisputed protagonist, earning 9 gold medals.